Here's the cover and a little sneak peek at the insides! For those that love spotting the butler in this series, you won't be disappointed! And just like the previous three, it's all about the landmarks; or in this case, the planets! There might even be a black hole and perhaps an alien or two (or two hundred). The hardback will publish first in the UK, Sept 7. And it just so happens that the UK paperback release in 2019 coincides with the 50th Moon Landing Anniversary. Who knew The Queen's Hat would become a series? Below are the other three in the series, along with some inside illustrations. 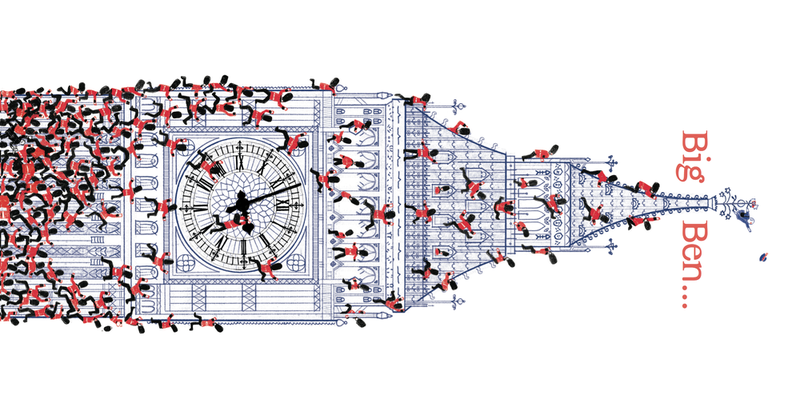 As you'll know, Part 1 was a hat chase across London, Part 2 was a swan chase across the UK, and Part 3 was globe trot for the perfect Christmas present, so it made perfect sense to take the Queen where no person (or Queen) has gone before! All of my picture books are first published in the UK. 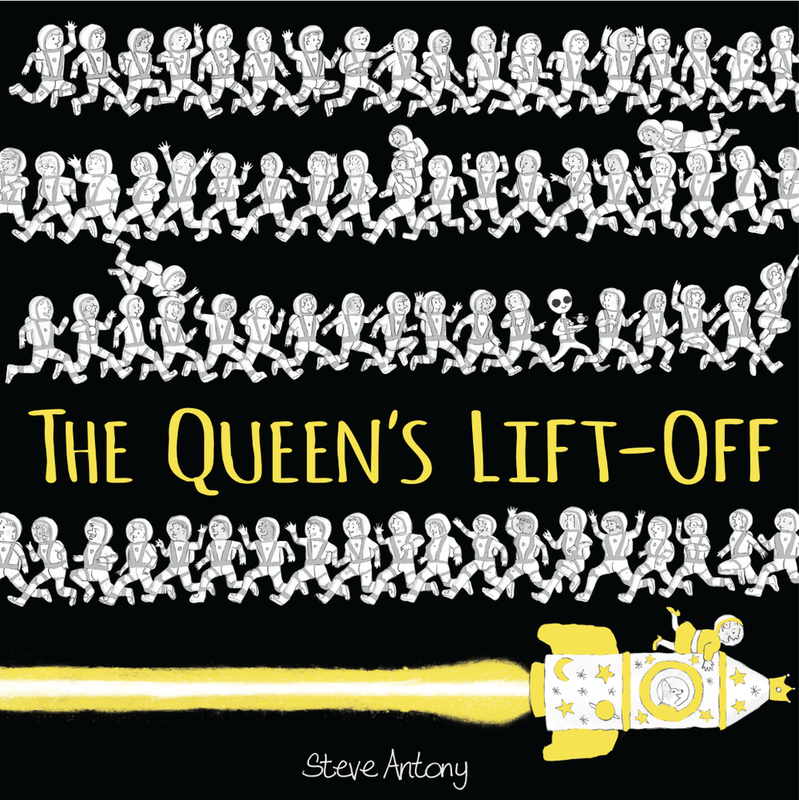 Here are a couple of places you can preorder The Queen's Lift-off: Waterstones, Amazon. To see what's out in your country, check out the following links. Part 2: In Oxford, Spot the reference to Alice in Wonderland. Did you know the real 'Alice' once lived in Oxford? 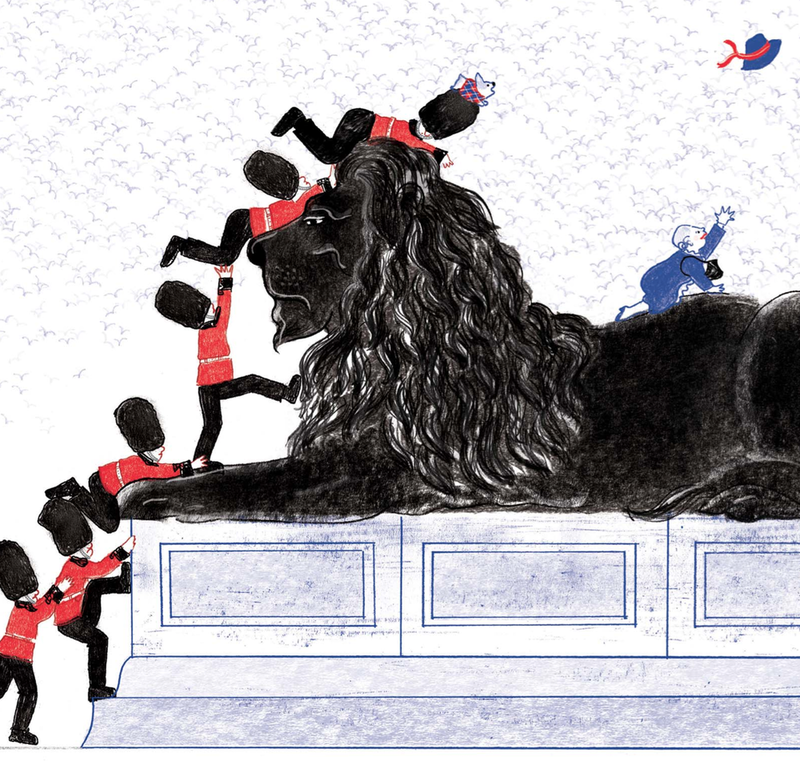 Part 1: They clamber over one of Trafalgar Square's famous lions. Part 2: Surfing officers at Giant's Causeway in Northern Ireland are in pursuit of the sneaky swan. Part 3: The North Pole. Part 3: The Queen and all santa's elve visit Japan, USA, Italy Australia and many other countries!